The wicked winter weather this year has wreaked havoc with the condition of road surfaces from Maine to North Carolina, and with car tires in Fairfax, VA. If you haven’t experienced roadway blow-outs, flat tires, skidding, sliding or other tire problems this winter, now is the time to inspect your tires for excessive or uneven wear, damage from severe road trauma like pot holes, or other condition issues that signal it’s time to buy new car tires. Fairfax, VA drivers need to be vigilant when it comes to maintaining the safety of their vehicles. 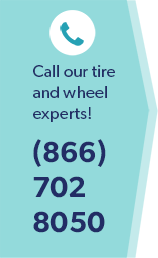 A local tire store, like Wiygul Automotive Clinic, is probably the best place to meet your needs when shopping for new tires near Fairfax, VA. Prices can be reasonable, with a wide tire selection and the assistance of a well-trained service team to help you select the correct car tire for your vehicle. The well-trained automotive professionals at Wiygul Automotive Clinic select the products and services you need, raising satisfaction and protecting your vehicle safety. You can expect hands-on assistance, tire product information, warranty details, and a smooth car tire transaction from start to finish. Explore our Resource Center, read our blog, and check our website for special offers on car tires near Fairfax, VA. Discover why Wiygul Automotive Clinic is your trusted local auto repair shop for quality car tires, properly installed, at affordable prices. The Wiygul Automotive Clinic ASE-certified, trained auto mechanics and tire specialists are the best in the business, offering. When you need dependable auto services and car tires in Fairfax, VA , you can trust the skilled professionals at Wiygul Automotive Clinic for reliable, safe, and comprehensive auto care. When it comes to your safety and your car, do you deserve anything less? Drive over to Wiygul Automotive Clinic for honest, state-of-the-art auto services and quality car tires in Fairfax, VA, including Firestone, Goodyear, Michelin, or any of the other major leading brands. We have the tires you need at a reasonable price with all the automotive services you need. The fast and friendly auto techs at Wiygul Automotive Clinic will have you safely on your way to enjoying the beautiful Virginia spring in no time.